The last of my beauty Christmas gift guides is here! It's been a lot of hard work trying to get all of these up well in time before Christmas so I hope that some of the ideas come in handy. If you haven't already checked out the rest of my gift guides just click here. 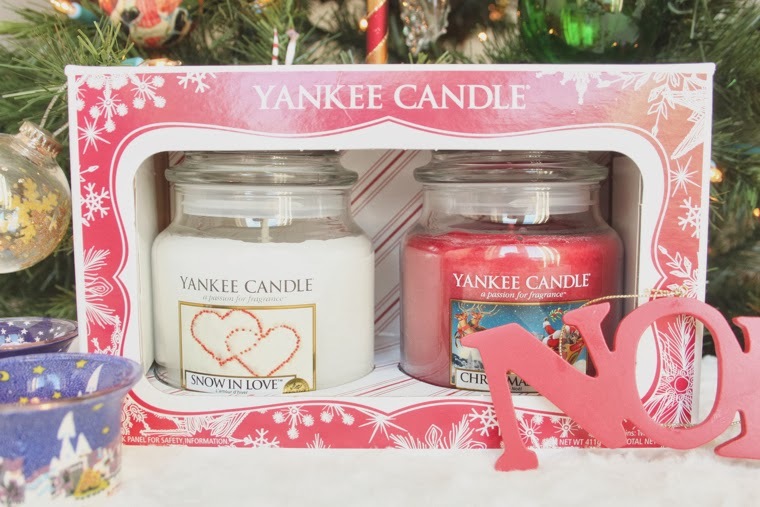 Yankee Candle Christmas Gift Set - £25.99: I'm ridiculously obsessed with Yankee Candles, there is a whole wall full of them at my local garden centre and I could quite happily spend a small fortune all at once. These two are both beautiful scents, Snow In Love is ideal for a the daytime as it's crisp and fresh whilst Christmas Eve is a cosy candle for the evening. The scents of both are spot on for my liking and I love how Christmas Eve isn't of an overwhelming cinnamon scent like most Christmas candles! 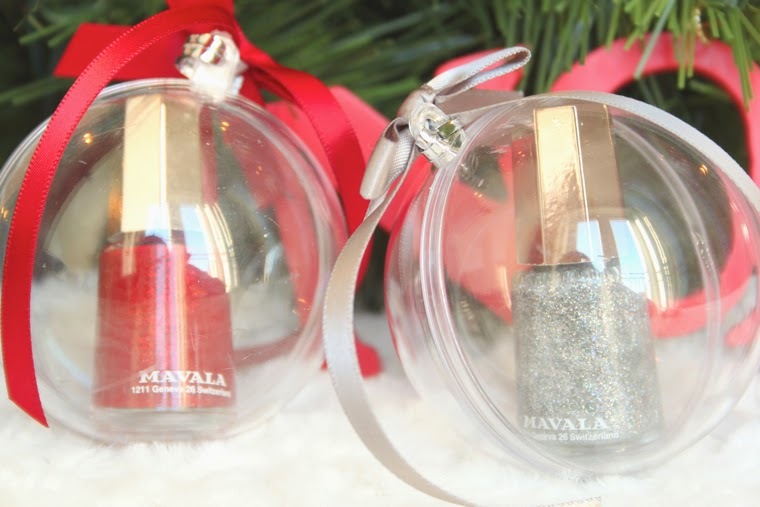 Mavala Nail Polish Baubles - £4.50 each: These little baubles make the most perfect stocking fillers or look equally as pretty tied onto the tree. I love both of the shades of nail polish too and think they are just ideal for the party season. 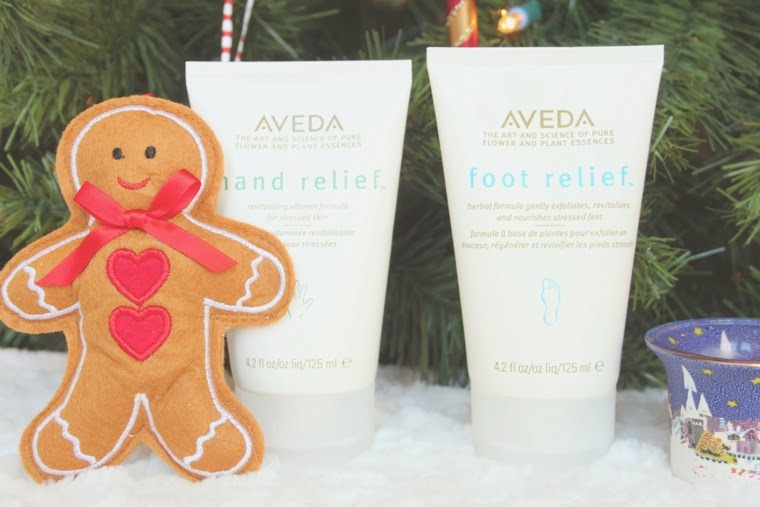 Aveda Hand Relief & Foot Relief - £19 each: If you are searching for a gift for someone a bit older then a luxury hand cream or foot cream are worth a thought. I always think it's nice to give something that will come in really handy (get it.. handy..) that perhaps someone wouldn't be able to afford to treat themselves to normally. Latest In Beauty The Glamour Beauty Edit Box - £14.95: How amazing is this beauty box? I bought this one for my Mum as I was so impressed at all of the products included and know she will get good use out of everything, not a dodgy lipgloss in sight! Everything comes presented in a luxury black box too which makes wrapping extra easy. Elemis Pro-Collagen Perfection Set - £70: This Elemis set is filled with anti-ageing goodies and is ideal for anyone needing a skincare overhaul. 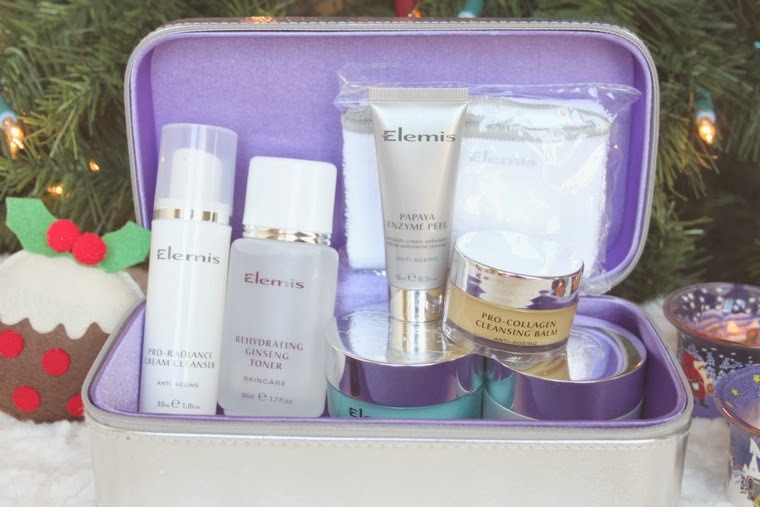 Elemis have so many amazing gift sets this year and if you are after that special gift for someone then you need to check them out (they have great options for men too). M2 Beauté Perfect Eyes Kit - £135: I've saved the most expensive luxury set until last, so run away now if you don't want to be tempted. The set includes a lash comb, eye make-up remover sachets and the famous eyelash activating serum. I can confirm that the eyelash activating serum works brilliantly an pretty much doubled the length and thickness of my lashes after I'd been using it for a few months, I'm going to put up a full review soon but trust me this baby is a miracle worker in a tube. OMG!!! These are really great gift ideas for this season. Now I do not have to worry on what to give my girlfriends. thanks!! !